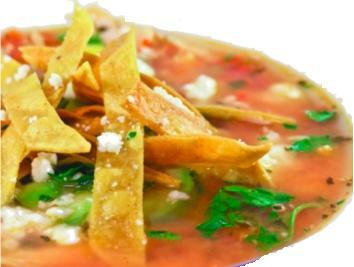 After my visit to Wahaca in London, I came back home inspired and decided to make one of my favorite Mexican dishes: tortilla soup. It was fast and pretty easy to make so everyone can try it! Heat enough oil to fry in a big pan or wok, once it's hot add the tortillas and fry until crispy. Keep wrapped in kitchen paper. Heat a tablespoon of oil in a deep pan, mix the tomatoes (or the sauce), the onion and garlic in a blender. Strain and pour into the pan, fry for a couple of minutes, add the water and let it boil. Add the chicken broth, the chile and the parsley and cook it, mixing once in a while, for 15 minutes. Remove the parsley. To serve: add 1/4 of the tortillas in each plate, add the soup and the diced avocado, cheese, chile and a teaspoon of sour cream. Another London restaurant post, I know, but what can I do?! 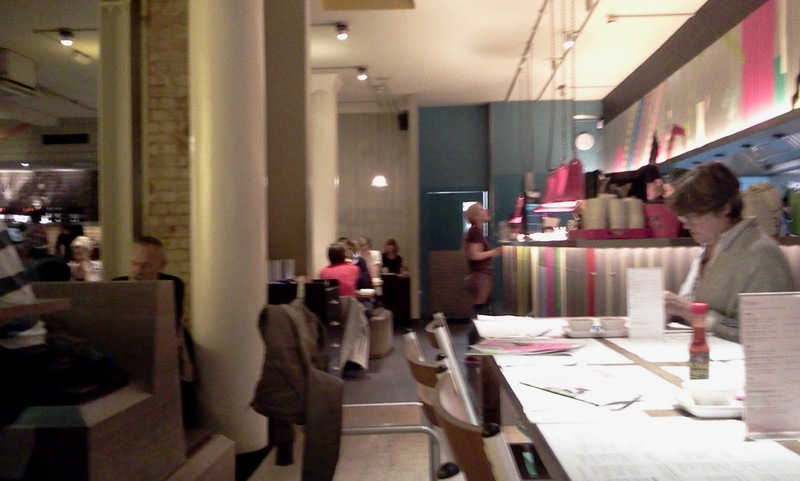 I love London, and what I love more is eating Asian food in London! 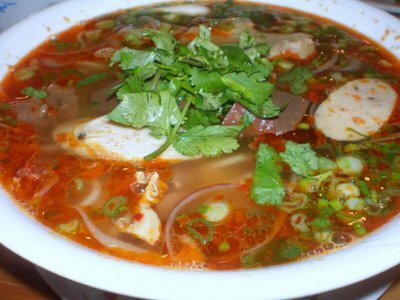 Viet Hoa Cafe is on 70-72 Kingsland Road, London. A must if you like Vietnamese! Hey there! We spent this weekend in London but I'm not gonna bore you with pics and description about the touristic sights since probably most of you have already been there (if not, turn off your computers right now, ok, but not before booking a ticket to London!). 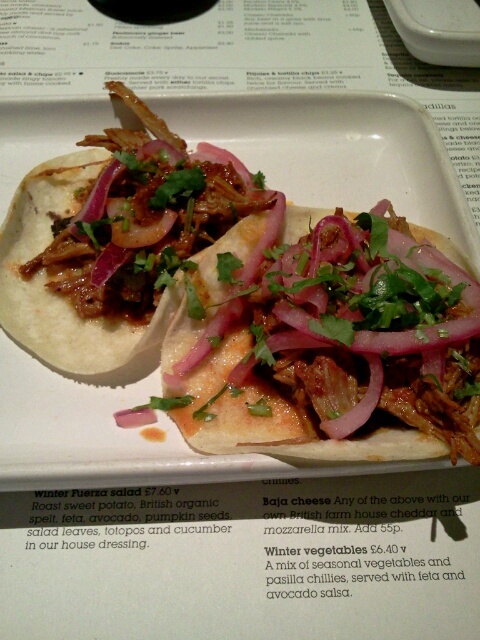 Instead I'll write about Wahaca. What? 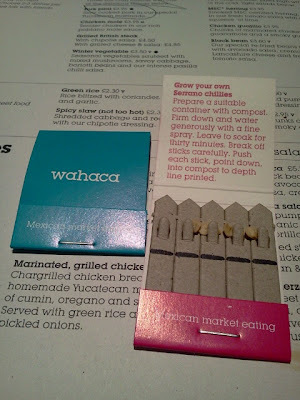 Wahaca, it is a Mexican food chain with diverse locations in London serving market food or street food, stuff that you would typical find in a Mexican street cart or a market stand. 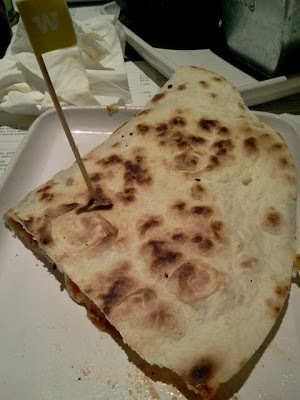 I must confess that after living in Italy for over 10 years, I have never found a real authentic Mexican restaurant anywhere in Italy so everytime I find the real deal the least I can do is write about it. Anyhow, after wandering around Soho we found it in Wardour Street, what I would call "Foodie Street" after all the nice restaurants we passed by (and the bakeries like Hummingbird Bakery - one of the hardest things I've ever done was passing by and not stopping for a cupcake!). The place is casual, relaxed with friendly atmosphere, street art in the walls and minimalistic decor; visit the bathrooms downstairs, they are nice! and the tequila bar with foosball tables! Your menu card is also your place mat and your reference list since when you order your waiter circles your orders in it. 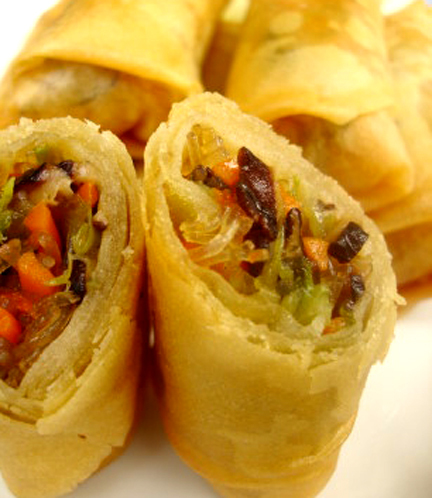 The menu has well explained dishes varying from appetizers, salads, main courses, desserts, etc. a great selection of tequilas (please try the Don Julio!) and a not so bad selection of beers. 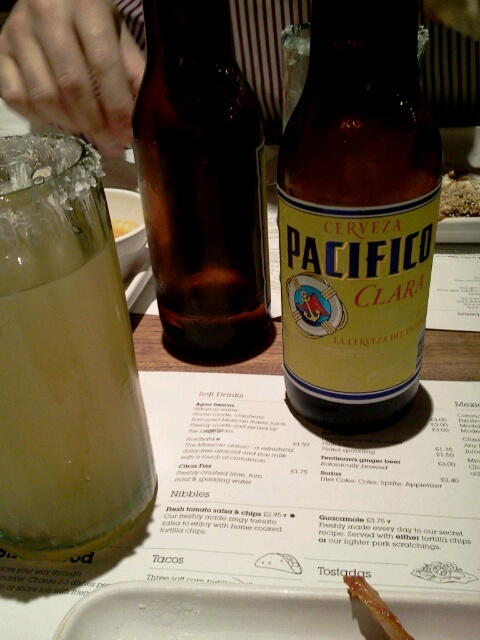 They got me when I saw they had Pacifico beer, my favorite! 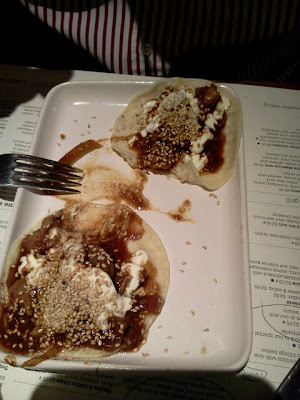 So, together with our beers we had an order of guacamole, the Pork Pibil tacos (3), the chicken mole tacos (3) and a big chipotle chicken quesadilla to share. Everything was great, authentic market food, and if a Mexican tells you, then you should believe it! 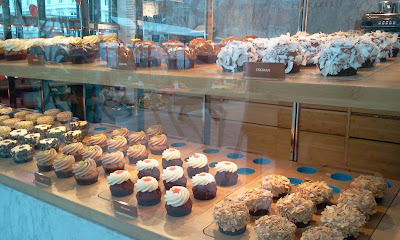 We could have eaten more (and I would have loved to get a glass of horchata water -almond and rice milky drink- !) but we were going to have dinner in a couple of hours so this was just to nibble. The total was around £25 including tip. They don't take reservations so be prepared to wait, it's totally worth it! Oh, and with your check they bring chili seeds so you can plant your own at home, how conveninent! 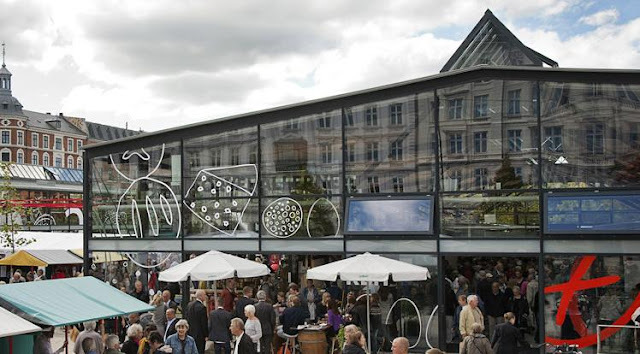 About a month ago I read an article on the NYTimes about the new Torvehallerne, a (partially) covered marketplace with gourmet specialties in Copenhagen. Being a fan of Copenhagen, marketplaces and food, I decided to try it on out recent trip to Copenhagen. 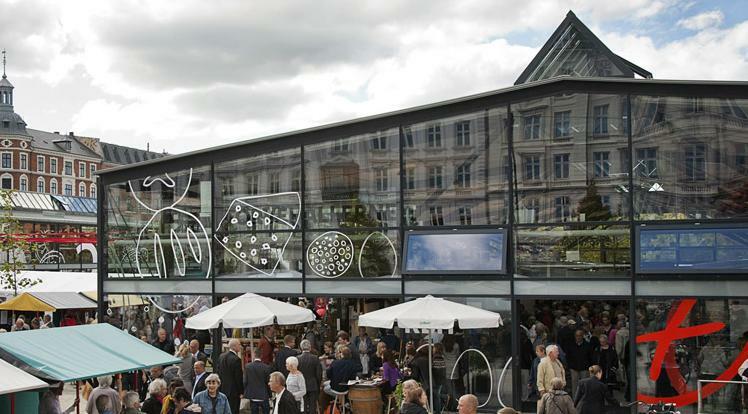 It was funny to see how they turned a parking lot, which I used to pass by everyday while I lived in Copenhagen, in 2 parallel covered structures filled with gourmet stands. There are like 3 or 4 bakeries offering delicious cupcakes and Danish pastries, an Italian deli with great sandwiches, sushi and tapas places, fruit and fish stands, butcher, florist and even an ecologic kebab cart outside: a foodies paradise! But after visiting the Boqueria market in Barcelona and the newly refurbished San Miguel market in Madrid, I was a bit disappointed with the architecture of Torvehallerne. First of all, we are in Denmark, it rains and snows often from September to June so what's the point of dividing the two structures? If one wants to go from one structure to the other and it's raining/snowing, one has to cross this open-air space to get there; why not making a unique, big covered structure? Also, there are tables outside and a couple of stools at some of the food stands inside; while it's nice to grab a sandwich or coffee and enjoy it outside sitting in a bench on a sunny summer afternoon, again, what do you do when it's raining/snowing? Since there was a lot of space and since they were building something new, it would have been nicer to get tables and stools in a covered space, like a food court maybe. However, my favorite spot in Torvehallerne remains Agnes Cupcakes ***CLOSED***, I've tried their cupcakes from the other location in Sværtegade some months ago and loved them (their apple cupcake is to die for!). 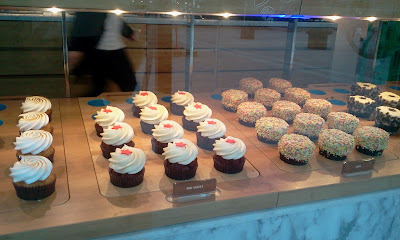 Apparently cupcakes are the new must in Copenhagen so don't forget to pay a visit to Agnes and Torvehallerne! Torvehallerne is located in Frederiksborggade, just off Norreport Station. While coffee shops and bakeries are open everyday from 7 to 21, the rest of the stands have different opening hours (closed on Mondays) so make sure you check the website before visiting.